2011 The Anchor Garden was installed and garden talks offered focused on reduced water usage in the home landscape. 40 UC Davis Arboretum All-Star plants were installed - plants whose viability has been tested and recommended for California gardens. 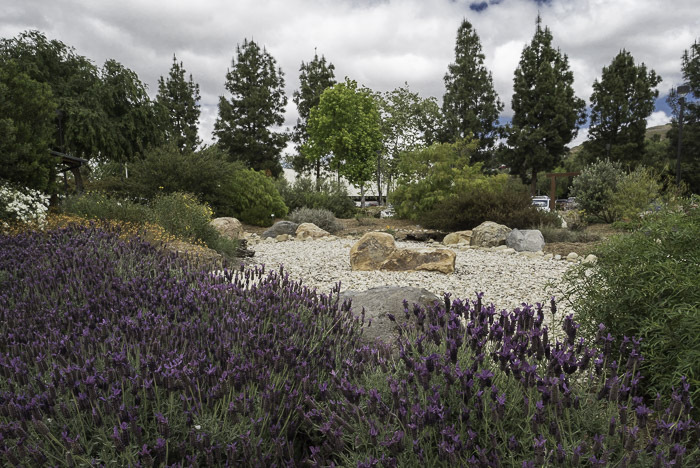 The vision was to create a working demonstration garden to showcase plants that require little maintenance and water. 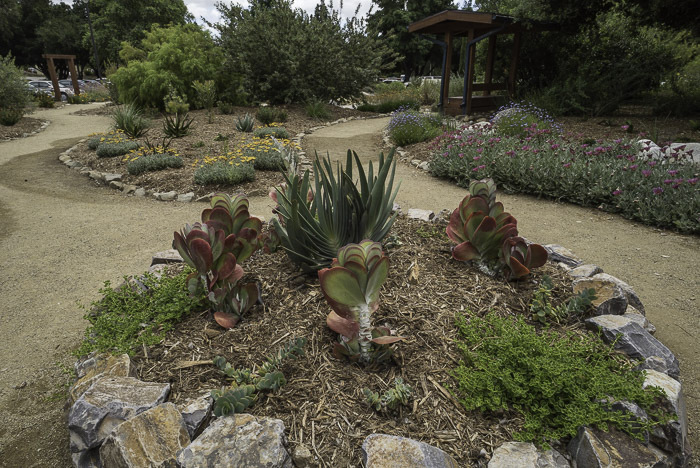 2012 The drought tolerant California Garden was installed with support from Ventura City Corps youth. City of Thousand Oaks employees provided assistance to locate water to the garden area. 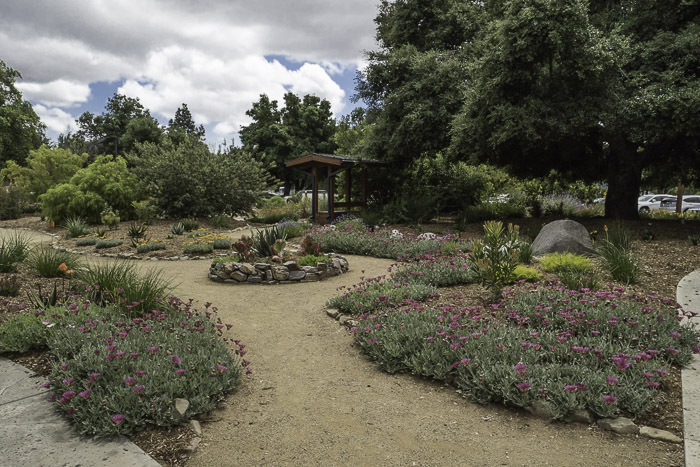 Master Gardeners installed 215 water wise plants and three slow growing trees. Master Gardeners offered a series of four garden talks and tours of the gardens. Talks were attended by 380 residents and we provided garden tours for 391 people. 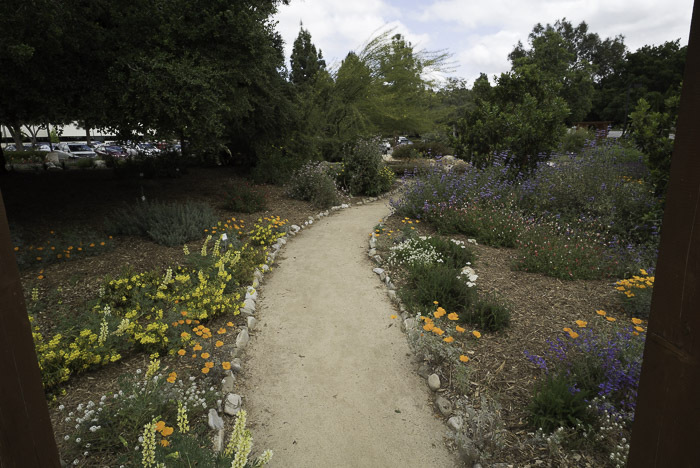 2013 The Mediterranean Garden was established and 218 water wise plants were installed. Pathways and two arbors were installed to create additional shade and a seating area. 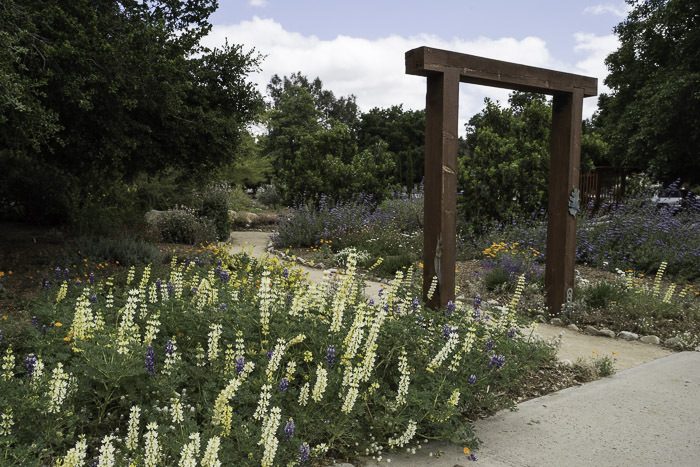 Master Gardeners offered a series of garden talks focused on designing a water wise garden, selecting water wise plant material for your home landscape, learning about CA natives and creating a garden to attract birds, bees and butterflies. 382 people attended. Tours of the gardens were offered following garden talks, and home gardeners begin stopping by garden on weekly Master Gardener workdays. We provided tours for 569 people. 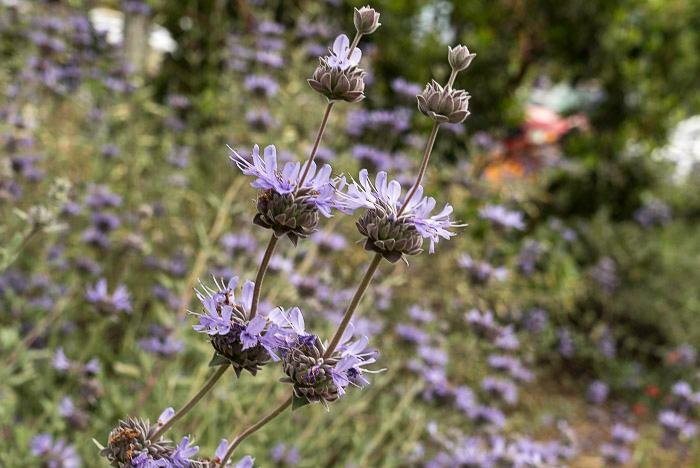 2014 The Australian Garden was established and 204 low-watering plants and two slow-growing trees were installed along with 50 lavenders plants throughout the gardens. 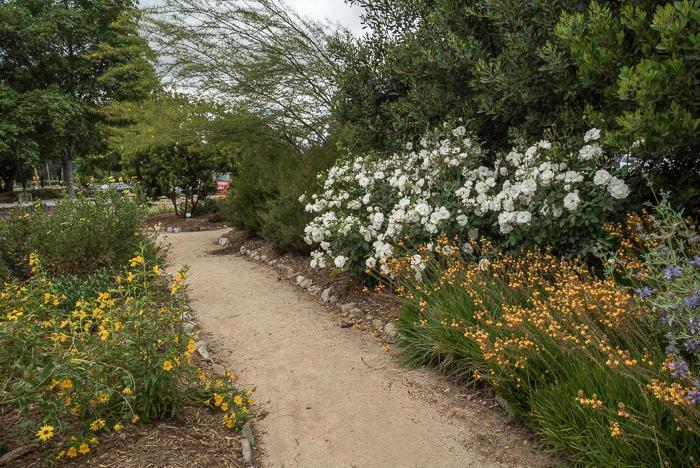 California was declared in a severe drought, and homeowners were looking for information about using less water in their gardens. 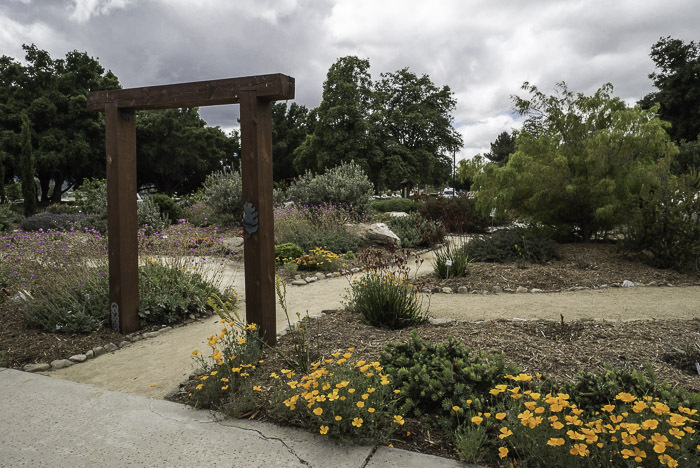 Master Gardeners of Ventura County responded with prepared garden talks that addressed topics related to using less water in the home landscape. 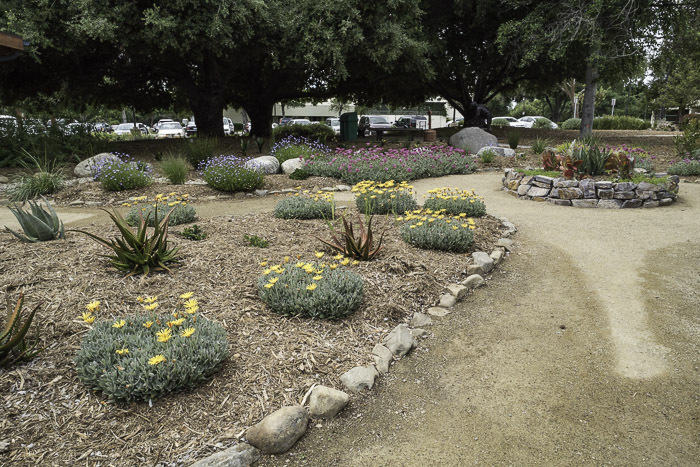 Master Gardeners partnered with Calleguas Municipal Water District and taught a series of Water Wise talks in Thousand Oaks, Camarillo, Oxnard and Simi Valley - 5,572 people attended 60 scheduled talks. 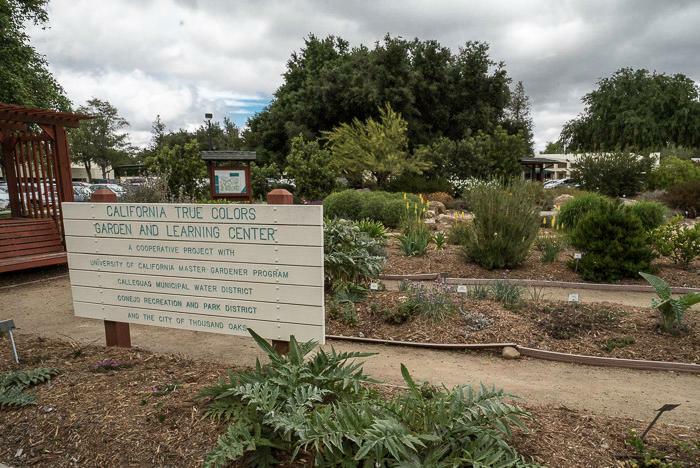 Master Gardeners developed a plant list with information about plants featured in the True Colors Garden to distribute during garden tours. Master Gardeners facilitated 61 garden tours and nearly 2,500 people visiting the gardens. 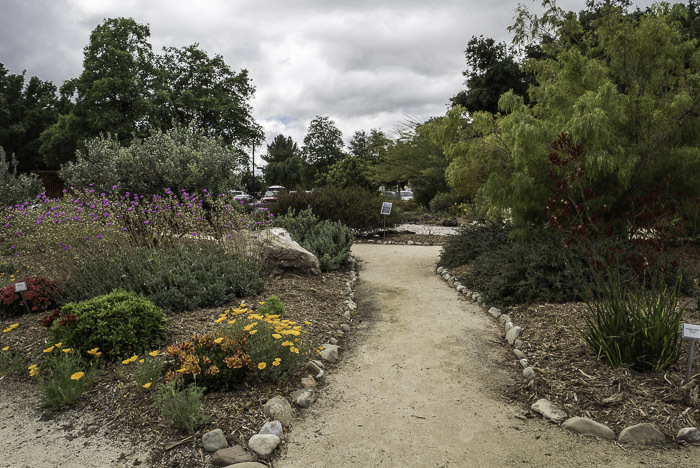 2015 The Chilean Garden was established and 410 water saving plants were installed. 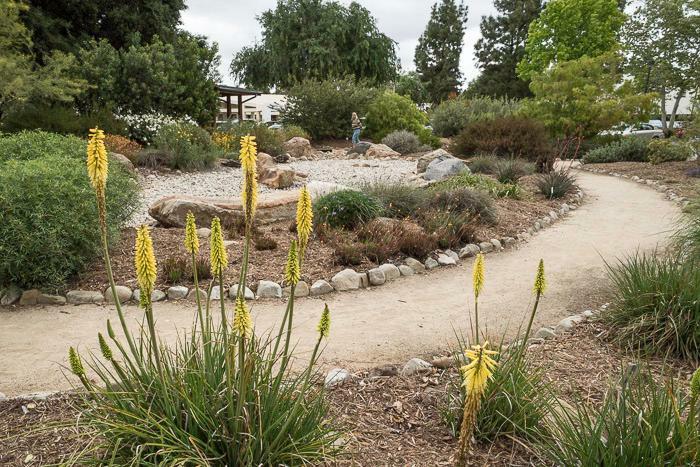 Master Gardeners offered a series of water-wise garden talks. Tours were also partnered with garden talks and 618 people attended. Due to increased attendance, we moved talks to the Thousand Oaks Library. Tours of gardens were also offered. Nearly 2,461 people participated in 57 garden tours. 2016 The South African Garden was established and 625 plants were installed. Master Gardeners offered weekend classes about gardening journaling and plant selection in the home landscape. In addition, Garden talks were held on the 3rd Saturday from June to September and 387 people attended. Master Gardeners conducted 41 garden tours and 783 people participated. 2017 The California Tue Colors Garden and Learning Center was completed and readied for the next stage of education. We hope to introduce Using Water Efficiently in the Home Landscape & irrigation Basics. 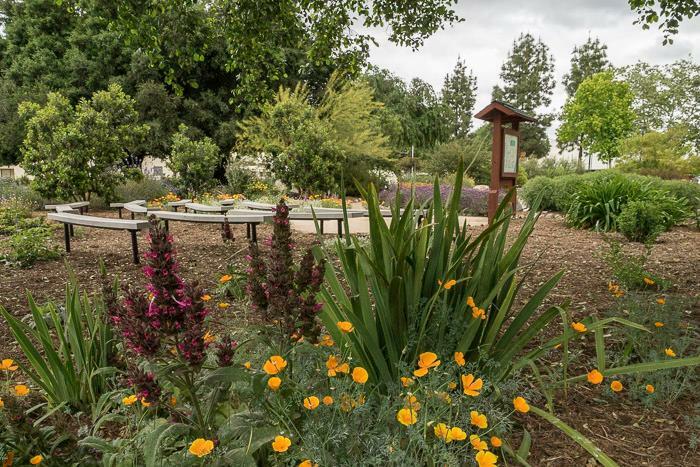 Master Gardeners participated in the Thousand Oaks Wellness Day at the Goebel Center and 215 people toured the gardens.